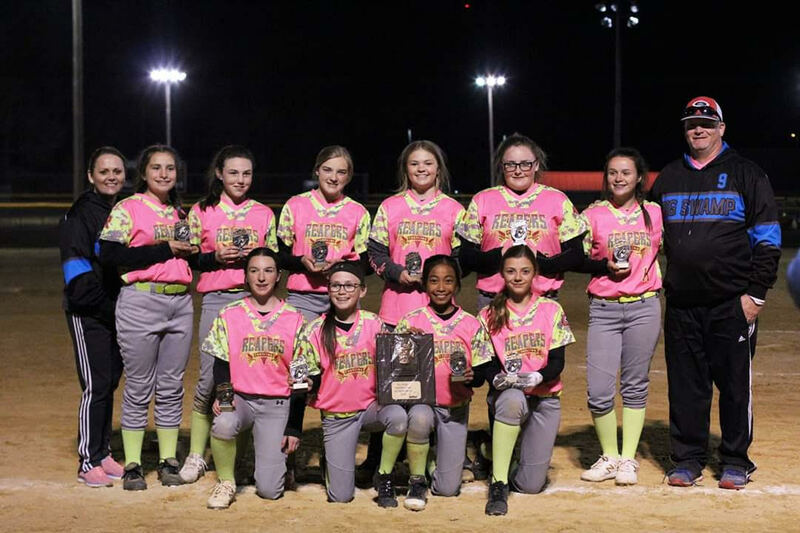 BLADENBORO – West Bladen turned 12 walks, 7 hits, and 3 hit batters into 22 runs Monday en route to a 22-2 Three Rivers Conference jayvee softball victory over West Columbus. Madison Walters, Hailey Guyton, Taylor West, and Kayla Norris all drew walks and scored in the West Bladen first inning. Kaylee Page knocked in 2 runs with a single and scored as the Lady Knights built a 5-0 lead. West Columbus scored 2 runs in the top of the second, but West Bladen answered with 8 runs in the home second. Olivia Allen was hit by a pitch and scored, and Walters, Armani Cowan, Page and Ryleigh Bailey all drew walks and scored. Guyton and Briley Stanley belted singles, drove in runs and scored, and West slugged a 2-run double and scored as the Lady Knight lead grew to 13-2. The Lady Knights scored 9 more runs in the third inning. Walters, Guyton, Cowan, West, Page, Kylie Duffle, and Bailey all drew walks and scored. Amelia Brisson cracked a single and scored, and Cowan reached on an error and scored. West pitched all 4 innings to pick up the win and allowed 2 runs on 8 walks and a hit while striking out two. Stanley led the Lady Knight hitters with a 2-4 game that include a double, 3 runs batted in and a run scored. West hammered a double, had 2 rbi’s and scored 3 runs. Brisson, Guyton, Walters and Page added one hit each. Walters, Guyton, Cowan, and Page scored 3 runs each. Bailey scored twice, and Brisson, Allen, Duffle and Norris scored one run each. Cowan had 3 rbi’s. Page drove in 2 runs. Walters and Guyton had one rbi each. Coach Joe Lewis’ Lady Knights will travel to St. Pauls Thursday.